I had originally intended to devote one blog post on Thomas Merton’s “Meditations,” but the time I had finished sorting through all the amazing information in the book, I had enough material for two posts. It’s partly because I just enjoy writing, but I also think that the topic of meditation demands more than one entry. Meditation is something that our modern world just cannot comprehend. We are accustomed to constant movement, constant noise and distractions. We are the champions of multi-tasking, planners become our gods, and there is no time left for half an hour of quiet reflection. Meditation is a foreign concept in this busy world, but this is why meditation is more important than ever before. This is why I wanted to spend so much time on the topic. 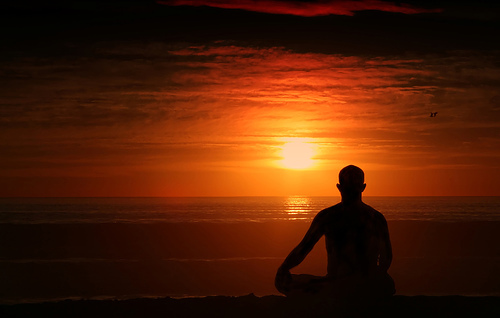 Meditation has become a lost art for many, and it desperately needs to be recovered. “[T]he taste for spiritual things has to start with a humble and earthly beginning, in the senses and in feeling. But if our prayer always ends in sensible pleasure and interior consolation we will run the risk of resting in these things which are by no means the end of the journey” (41). This goes back to what I was talking about in my last entry. A lot of times, we are born or re-born into the faith in the context of a retreat. I’ve met way too many teenagers who tell me about these awesome retreat experiences that they’ve had, but then, when I ask them if they’re still going to Mass and praying, they get this cloudy look on their faces as they tell me that they stopped praying and going to Mass about a month after the retreat ended. Did you think that you were the only one? Trust me, that’s far from the truth. Retreats are highly emotional events, and God quite often uses these occasions to call His long-lost sheep home. Unfortunately, if we cling to those emotions as the grounds for our continued faith, the emotions will inevitably fade and we’ll find ourselves straying from the flock. Do you want to stay in the sheepfold, or do you want to become the lost sheep again and again? If you’re tired of straying and just want to stay home for once, then instead of focusing on your own emotions, consider this: develop a relationship with the Shepherd. If a sheep knows his shepherd, he won’t stray. Get to know your Shepherd. Meditate. “The proper atmosphere of meditation is one of tranquility and peace and balance” (41). “Faith is a risk and a challenge, and it is most pure when we have to pay for it with effort and spiritual sacrifice” (43). I just absolutely love this quotation. The journey of faith is not an easy one. It is not always roses and rainbows and good feelings. Sometimes there are thorns and thunderstorms and pain. Believing does not exempt us from suffering, but it does give our suffering meaning. Suffering becomes sacrifice, and something that the world sees as ugly can be transformed into something beautiful. And I’m not just talking about external suffering either. Faithful Christians will face pain, hardship, and death, just like any other human might. But they have eyes that see the world differently, and that includes suffering and death. But I’m also taking about internal suffering as well. Even the most faithful Christians have had their faith tested. Even the saints have endured and struggled with what is typically referred to as a “dark night of the soul,” a period of time that could extend for days, or months, or years, where one does not feel God’s presence. 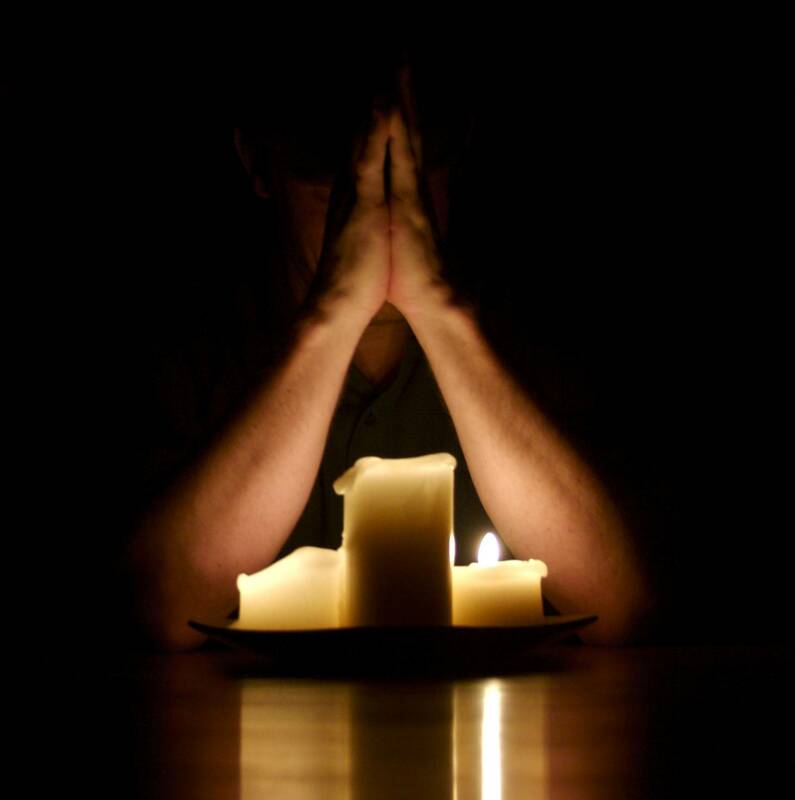 Even those who have made meditation a central part of their daily prayer life might face this dark night, but this is what sets these holy men and women apart: they do not lose hope. Our faith might be tested, but we have been given the strength to endure. We will never be given anything that we cannot face with the help of God. Faith is indeed “a risk and a challenge,” and sometimes the faithful are challenged in ways that might even seem cruel. Why should the faithful struggle so much when they have already given their lives to Christ? Because we are still strangers and sojourners in a world that has fallen and cries out for redemption. Because God can take these devout souls and transform their sufferings into a witness of love. Because Christians have accepted the challenge put forth by Christ, and willingly are running the race. And this race is not without its obstacles. “The ultimate end of meditation should be a more intimate communion with God not only in the future but also here and now” (45). “[V]ery much of what we read in magazines or newspapers or see and hear in movies and elsewhere, is completely useless from every point of view. The first thing I must do if I want to practice meditation is to develop a strong resistance to the futile appeals which modern society makes to my five senses” (49). Meditation, though it is in essence about forming a relationship with God, and thus requires that we communicate with Him, is fundamentally something that is rooted in silence. In the silence, our hearts can speak what our lips cannot, and our soul can hear what our ears cannot. There is a time and place for the five senses, but meditation often involves what can be considered almost a dulling of the senses. At the height of our meditations, we might momentarily lose sight of where we are, the sounds around us might fade into the background. Silence reigns supremely, and in the quiet God whispers to us. The world wants us to constantly be stimulated, and the situation has become so bad that quite often we are afraid of the silence. What are you so afraid to hear? What do you think God is trying to tell you? 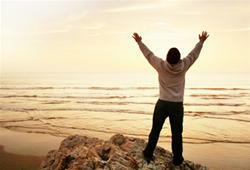 “Habitual self-complacency is almost always a sign of spiritual stagnation. The complacent no longer feel in themselves any real indigence, any urgent need for God. Their meditations are comfortable, reassuring and inconclusive. Their mental prayer quickly degenerates into day-dreaming, distractions or plain undisguised sleep. For this reason, trials and temptations can prove to be a real blessing in the life of prayer, simply because they force us to pray. It is when we begin to find out our need for God that we first learn how to make a real meditation” (50). This particular passage was both a comfort and a challenge for me. It was a comfort because clearly if we face trials and temptations (and who doesn’t? ), it doesn’t mean that we’re doomed. It is not the end of the world. Trials and temptations can become opportunities to grow in faith and strengthen our prayer lives. God can take a temptation and transform it into something beautiful. It is in these moments of weakness that we fully understand just how strong God is, and how much He loves us. When we fall, it gives God the opportunity to pick us up. No matter how many times we stray, Jesus Christ is always willing to carry us home. No matter how many times we fall, He will always be ready to pick us up. All we have to do is call out to Him, stretch out our arms towards Him so that we might be lifted up and embraced. But how often do we pretend that we are not sitting on the ground, surrounded by our own filth? How often do we pretend that everything is okay, that we are doing everything right? How often do we ignore what is lying right beneath our noses? Jesus is always willing to carry us, but we must be willing to admit that we cannot walk on our own. He will always lift us up, but we must first acknowledge that we have fallen and cannot get back up on our own. We cannot become comfortable with where we are, because Christ is always calling us higher. We cannot let our meditations become opportunities to day-dream, or even to downright nap. We must remain vigilant. We must keep our eyes open. We won’t be able to hear the voice of God if we are too busy listening to our own thoughts. We won’t be able to discern the will of the Lord if we fall asleep. “Business is not the supreme virtue, and sanctity is not measured by the amount of work we accomplish. Perfection is found in the purity of our love for God, and this pure love is a delicate plant that grows best where there is plenty of time for it to mature” (53). “The true contemplative is one who has discovered the art of finding leisure even in the midst of his work, by working with such a spirit of detachment and recollection that even his work is a prayer” (53). This is so pivotal in the life of a Christian, particularly one living in the world of today. Modern society determines our worth according to our ability to produce. Work has come to define us. This is one of the many problems with this incredibly pragmatic and productive culture, but unfortunately, it is an evil that we must learn to endure. Work should not be permitted to define us, but we all must work to eat. And many of us have to work unreasonable hours to put food on the table, to pay the bills, to secure the roof over our heads. So how do we redeem our work? Make it a prayer. Offer it up for the souls in purgatory, for the intentions of our family. Find joy in what you’re doing, even if you don’t think that your job is significant. It is. What you do on a daily basis matters, and every hour on the job is an hour that can be lived for the glory of God. So give glory to God by doing your job well. St. John Bosco often told his boys that there were two elements to becoming a saint: be joyful and do your duties well. If your job is to teach children, then grade each test to the best of your ability. If it’s to type data on a computer, then type every piece of data as if it were the most important piece of information in the world. If it’s to serve food, then serve your patrons as if that meal was it were the last that they would ever eat. What you are doing matters, so do it with joy. 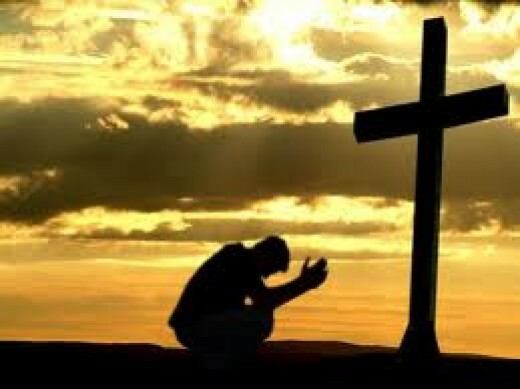 “The desires and sorrows of our heart in prayer rise to the heavenly Father as the desires and sorrows of His Son, by virtue of the Holy Spirit who teaches us to pray, and who, though we do not always know how to pray as we ought, prays in us, and cries out to the Father in us” (54). There were many times during my morning meditations when I found that I just didn’t know what to say. Sometimes it was because I was too tired to form cohesive thoughts. Sometimes it was because I just didn’t know the right words for what I was feeling. No matter the reason, when I couldn’t pray, the Holy Spirit was always able to provide the words that I couldn’t. When I was at a loss for words, the Spirit spoke for me. We do not always need to know what to say; we just need to be open to the Spirit. 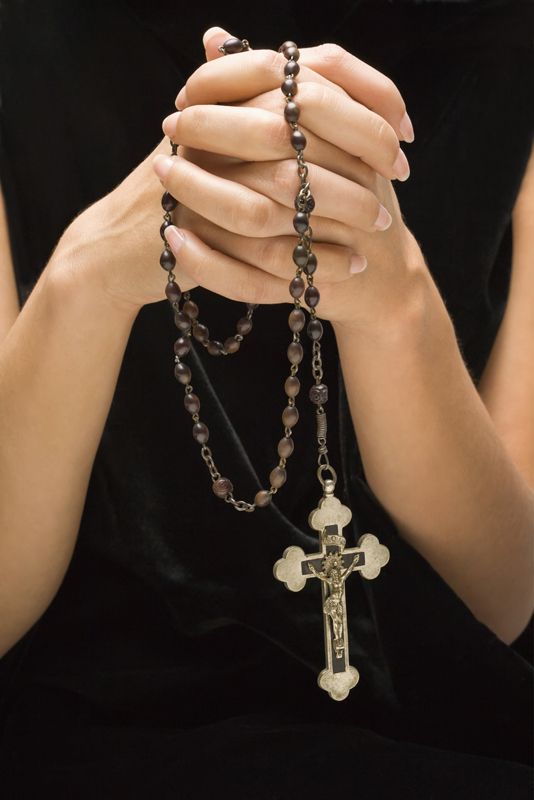 “It can be said that the aim of prayer is to awaken the Holy Spirit within us, and to bring our hearts into harmony with His voice, so that we allow the Holy Spirit to speak and pray within us, and lend Him our voices and our affections that we may become, as far as possible, conscious of His prayer in our hearts” (54). “If we really do not feel like praying, it seems at least more honest to recognize that fact before God than to assure Him that we are burning up with fervor” (55). We will not always feel like praying. There are so many distractions in this world that lead us away from prayer. Even when we recognize the significance of prayer, sometimes we don’t want to pray. There have been countless times in my life when I have asked God to help me to want to pray, because I wanted to want to pray, but struggled to actually commit myself. It is okay if we don’t always feel like praying. The important thing is that we do pray. And that we don’t pretend that we’re not struggling. We can outwardly pretend that we’re on fire with the Holy Spirit, but the Lord knows the truth. The best thing that we can do during times like these is to admit our struggle and to ask God to help us through it. There is no need to pretend; God already knows the movements of our hearts. “In the beginning of the life of prayer, the more definite and concrete we are in our meditations the better off we will be” (57). “[W]e cannot help sometimes meditating on our own lives, on what we have done, on what has happened to us, on what we intend to do. But in the event that these things intrude upon our prayer unexpectedly, we should tie them in with our faith in Christ and in Divine Providence” (60). It is inevitable at some point during our meditations we will focus on our own lives, and that’s okay. These moments of silence are the perfect opportunity to really take a look at our lives and meditate on where we have been, where we are, and where we would like to go. But we cannot stop at ourselves. Our meditations should lead us to Christ. Ultimately, the answers to where we’ve been, where we are, and where we want to go revolve around Jesus Christ. We’ve strayed, but desire to draw nearer to Him. We’ve lost our way, but now we are on the path back home. The answers to all of these questions about ourselves can be found in the Lord. “All mental prayer, whatever may be its beginnings, must terminate in love” (63). “The true end of Christian meditation is therefore practically the same as the end of liturgical prayer and the reception of the sacraments: a deeper union by grace and charity with the Incarnate Word who is the only Mediator between God and man, Jesus Christ” (65). “Meditation is spiritual work, sometimes difficult work. But it is work of love and of desire” (66). Meditation won’t always be easy. In fact, sometimes it’ll be very difficult. Sometimes we won’t want to turn off our TVs or remove the iPod buds from our ears in exchange for the silence of prayer. Sometimes it will be a struggle to stop what we are doing, and just spend some time with Jesus Christ. Meditation is work, but “it is work of love and of desire.” When you would rather play ball or watch TV, why do you instead choose to pray? When you would rather read the latest novel, why do you instead choose to read and meditate on the Scriptures? Why? Because you love God, and you want to know Him better. Because you know that the best thing that you can do for yourself is live for the Lord. Because you know that nothing else will give you the fulfillment that you desire. Because you’ve fallen madly in love, and love makes us do crazy things.